In “Cy Reed Visits Hostile Territory,” Cy extends his visit to the Explorer’s Society. Watch Cy prepare for a fateful reunion. Learn more about the Infinity and its connection to an ancient nursery rhyme. Plus, a new cover for Cryptic, a teaser for Apex Predator, and the latest news on Vapor! This week, I’m pleased to release the 5th page of Cryptic, “Cy Reed Visits Hostile Territory.” In this entry, Cy visits the Lindbergh Auditorium at the Explorer’s Society. While preparing for his long-awaited reunion with Diane Blair, he reveals new information about the Infinity, including its connection to an ancient nursery rhyme. Check it out! And remember … if you need to catch up on old entries, make sure to visit my Cy Reed world. Also, I’ve prepared a new cover for Cryptic. I’ll announce it officially later this week but if you want the preview, you can see it at the Cy Reed world page. My web presence has undergone about a dozen name changes over the years so get ready for one more …David Meyer Creations. I bought the domain last week. It’s rather long, but it’s a better reflection of what I’m trying to do here, namely build a number of exciting worlds for you to enjoy! Currently, I’m running two worlds … Cy Reed and Guerrilla Explorer. Apex Predator, my newest world, is next! Speaking of Apex Predator, I’m excited to offer the first teaser for this strange and terrifying world. You can see it first here. More is coming soon! Vapor, the fourth novel in the Cy Reed Adventure series, is still undergoing final edits. The cover is done and the formatting is largely complete. I’m still hoping to get the book into your hands this week, but it might get delayed a week or two depending on how final edits go. Again, no promises, but we’re working very hard to get this done and into your hands! This week, we look at Cy Reed Investigates Infinity Prophecy, the fourth page from Cy Reed’s journal. Get ready to learn some intriguing clues about the Infinity, which appears to have been plaguing Manhattan since the sixteenth century. Plus, more website updates and the countdown to Vapor continues! I’m pleased to release page 4 of Cy Reed’s journal, which I’ve entitled, Cy Reed Investigates Infinity Prophecy. As you’ll see below, Cy Reed Investigates Infinity Prophecy is a continuation of last weeks’ entry. It’s the second half of a newspaper article from 1916. 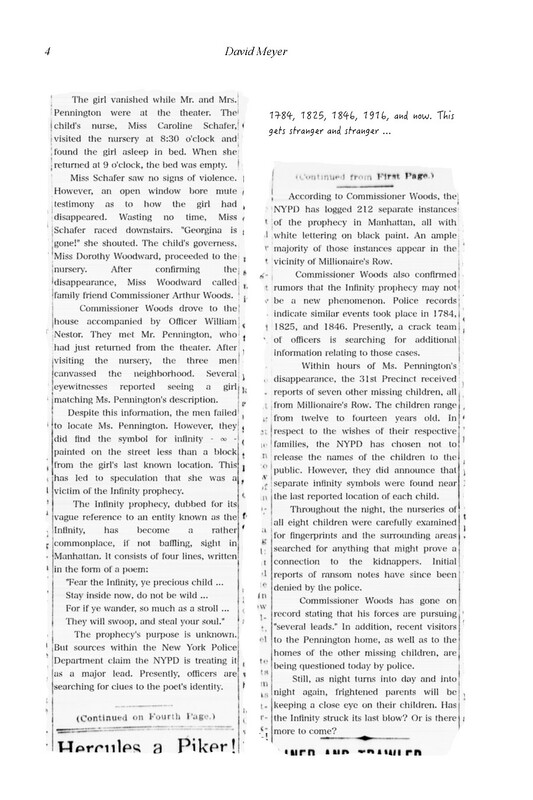 It provides some curious details about the Infinity as well as about the long-forgotten and mysterious disappearance of eight Manhattan-based children. I don’t want to give too much away, so go read it for yourself! And if you need to catch up on old entries, make sure to catch out my Cy Reed world. By the way, I’ve tentatively titled this edition of Cy Reed’s journal as Cryptic. At the moment, I’m adding page numbers and going through the process of reformatting old pages. Eventually, I’ll publish this story as a Cy Reed Journal paperback book and maybe an e-book for those of you who prefer hard copies or e-readers. I’m currently refocusing this website around the various worlds of what I’m currently calling, David Meyer Creations. That name, by the way, changes on a week-to-week basis! Anyway this week’s updates include general speed improvements to the blog page. Also, I’m rebuilding the front page to focus less on my individual books and more on my worlds, namely Cy Reed, Guerrilla Explorer, and the upcoming Apex Predator. Vapor, the fourth novel in the Cy Reed Adventure series, is currently undergoing final edits. I’m hoping to get the e-book into your hands the week of April 6. The paperback shouldn’t take much longer. No promises, but I’m working hard to make it happen. Vapor is coming! After thirteen long months, the fourth novel in the Cy Reed Adventure series is nearing completion. It’s been a long wait, but it’s definitely going to be worth it. I don’t want to give too much away at this point, especially since final edits are underway. But Vapor, formerly known as Miasma, is everything you’ve come to expect from the Cy Reed universe. Ancient mysteries, lost treasure, strange monsters, an epic conspiracy, and more! Plus, Vapor will see the introduction of many new characters, several of which will be sticking around for future novels. I still don’t have a firm release date, but I’m shooting for early to mid-April. In the meantime, head on over to the brand new Cy Reed page. While you’re there, make sure to check out our newest feature, the Cy Reed Journals. Every Monday, we’re adding new pages from Cy Reed’s personal journal, detailing the exploits of a previously unpublished story that took place during the events of Chaos. Filled with sketches, newspaper articles, and other items, the journal tells the story of Cy’s encounter with a mysterious group known as the Infinity. But the Infinity isn’t a new threat … curiously enough, it’s been terrorizing New York City for over a century. Enjoy! I have two quick announcements before we get to Cy Reed Unearths the Infinity, this week’s Cy Reed Journal entry. First, Vapor is coming! 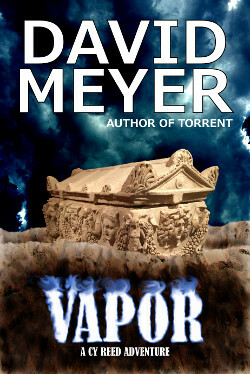 Vapor (formerly codenamed Miasma) will be the fourth novel in my Cy Reed Adventures series. It’s been in the works for a loooong time. Look for the official cover later this week. The actual release date is still up in the air, but should be locked down soon. Just between us, I’m shooting for mid-April. Second, I’m currently refocusing this website on the various worlds of David Meyer Universe. Hence, you can now visit the new Cy Reed world, which hosts all stuff related to our favorite treasure hunter / salvage expert. 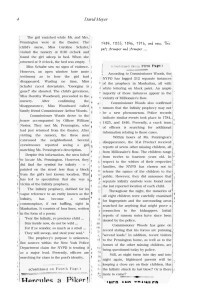 Currently, it contains information on the books, the Cy Reed Journal, and Cy Reed news. 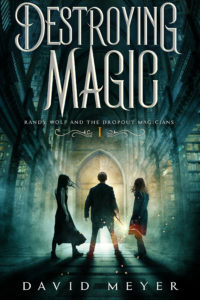 You can also see hints of what’s coming next … including a new book series! 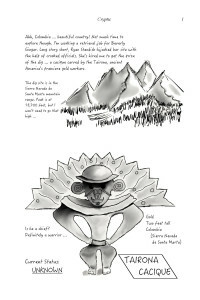 In addition, I’ve created a Guerrilla Explorer home to act as a storehouse for all Guerrilla Explorer-related articles. Also, I updated my About and Contact sections and adjusted my Blog section, which will cover news related to all aspects of David Meyer Universe. I also added a new section entitled Apex Predator. What is Apex Predator, you ask? You’re going to have to wait a little longer to find out. Regardless, this is a work in progress so expect to see things shifting about for the next few weeks. Here is this week’s page from the Cy Reed Journal. It’s entitled, Cy Reed Unearths the Infinity. The reference to the Explorer’s Society indicates Cy obtained this article while visiting Dutch Graham’s office, a key early scene in Chaos. As you can see below, the Infinity has a long (and rather unsettling) history behind it. 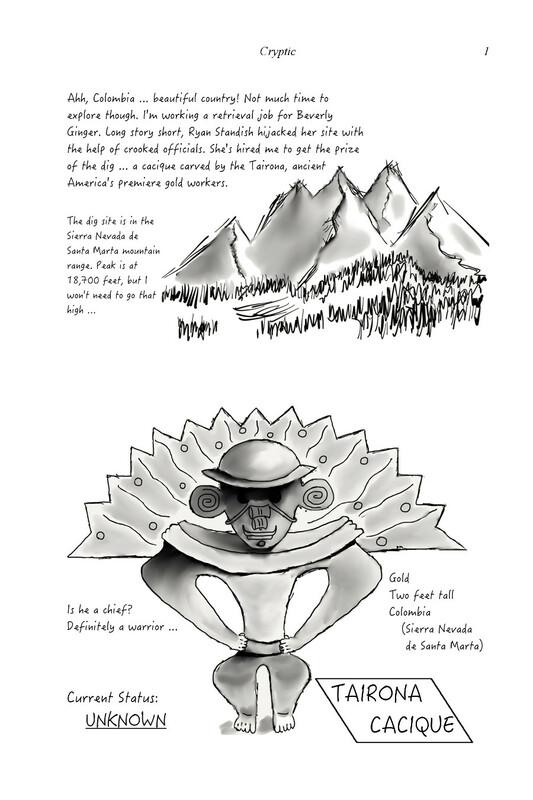 If you want to catch up on past Cy Reed Journal entries, be sure to visit the Cy Reed world! 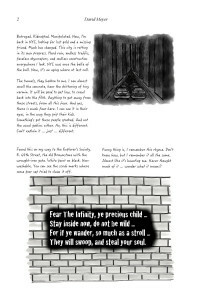 Over the last week, I completed the restoration of a new page from Cy Reed’s Journal. It’s called, Cy Reed Takes New York. I’ve attached it below. Curiously enough, it refers to an entity known as, “The Infinity.” Since I hadn’t heard of such a group, I asked Cy for additional clarification. From what he tells me, the events of Chaos are only part of a larger story that took place during his return to New York. While Cy was tracking down Hartek’s cache of lost gold, he was also unraveling a second mystery in the city’s maze of underground tunnels. That story, never before told, will be detailed in upcoming journal entries. Needless to say, all of us here at Guerrilla Explorer Publishing are excited at the prospect of relaying this “brand new” Cy Reed adventure to you. Stay tuned! I’m pleased to announce the release of a very special item, Cy Reed’s Journal. Donated by Cy himself, the book provides fresh insight into the foremost treasure hunter and salvage expert of modern times. Each page chronicles his many adventures, some heretofore unpublished, via sketches, photographs, newspaper clippings, and Cy Reed’s personal commentary. They should prove an excellent complement to the Cy Reed Adventures. 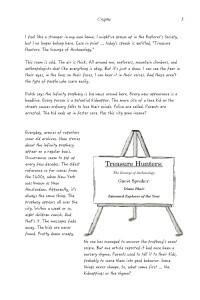 The very first page, entitled Cy Reed Adventures Continue, relates to events recorded in Chaos. You can find it below. Other pages will follow just as soon as I’m able to preserve and restore them to their original condition. Please come back often … there’s a lot of exciting stuff on the way! Does the Lost Custer Treasure Really Exist? 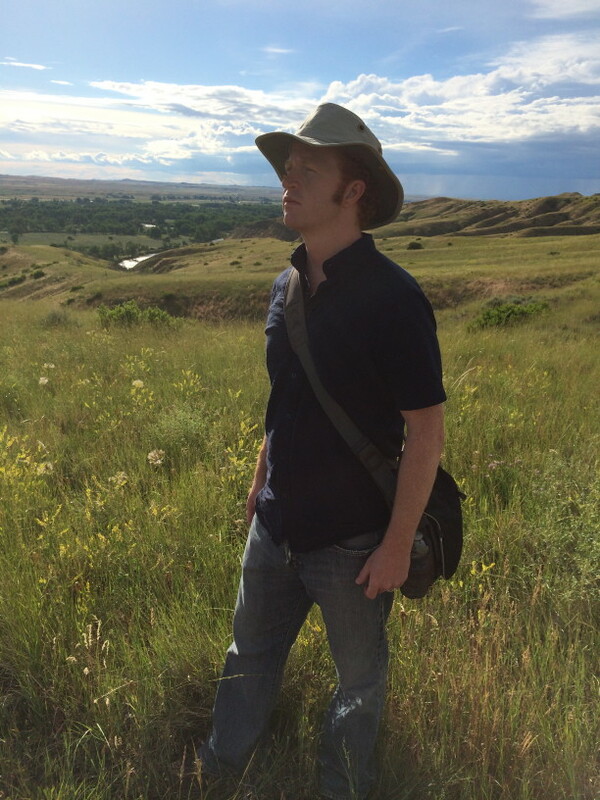 Thanks to all of you who watched me on last week’s America Unearthed episode, “Custer’s Blood Treasure.” Recently, I’ve seen a few questions bouncing around about the exact nature of the lost Custer treasure. Some people have even doubted its existence all together. So, I thought I’d add in some details from four primary sources as well as some reporting by Kathryn Wright, who originally broke the Custer treasure story back in 1957. 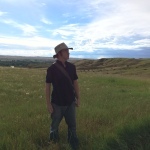 Perhaps this will shed a little light on the exact nature of the Custer treasure as well as how the story originated. Where did the Custer Treasure Come From? The lost Custer treasure consists of about four months back pay given to the Seventh Cavalry more than a month prior to Custer’s last stand. Contrary to popular opinion, it wasn’t stored in a pay wagon and taken to the battlefield but rather, was carried into battle by the individual soldiers themselves. After the fighting was over, the Indians stripped the dead soldiers of their belongings, including their various monies. This hoard of harvested pay and other trinkets, in total, makes up the lost Custer treasure. Was the Lost Custer Treasure really worth $25,000? So, we know the men went into battle carrying a substantial amount of back pay. But how much money were they really carrying? Ryan adds no further details about the evening. But according to Private Peter Thompson, “the blood sucking sutler (arrived) with his vile whiskey, rotten tobacco, and high priced notions. It was plain to be seen that he would reap a rich harvest on this expedition.” So, we know the sutler (who went by the name of John Smith) took at least some of the pay given to Custer’s men, including the payment of old debts, when he left the next morning. 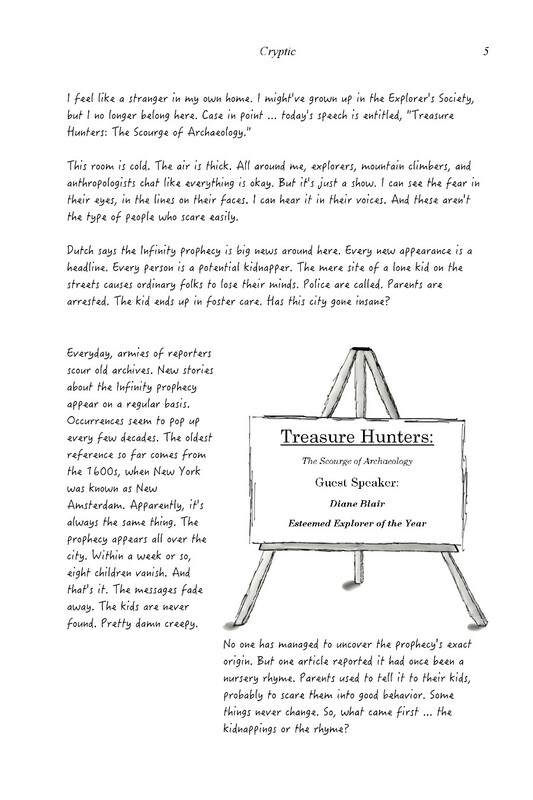 So, that’s the origin of the “$25,000” figure that is bandied about amongst treasure hunters. Admittedly, it’s highly undependable since it’s based on one soldiers’ estimate of how much money his fellow troops collectively carried into battle fifty years after the fact. How does that $25,000 hold up under a little bit of scrutiny? We know 268 U.S. troops (including scouts) were killed at the battle. In order to match Ryan’s $25,000 figure, each deceased soldier would’ve had to be carrying about $92 apiece, which breaks down to an average monthly pay of about $23 (this assumes none of the deceased had spent money with the sutler). It also excludes the value of any personal objects or additional monies carried by the troops into battle. According to Private Charles Windolph’s book, I Fought with Custer, he was paid $13 per month in those days. Of course, that reference is from 1947, a full 71 years after the fact. But it matches up with what privates were paid at the beginning of the Civil War so it’s probably pretty accurate. Officers, of course, made much more money than privates. For example, a Lieutenant Colonel (General Custer’s official title) would’ve pulled in $181/month at the beginning of the Civil War. So, at first glance, an average monthly pay of $23 per deceased soldier seems reasonable to me. And if that’s the case, the treasure could very well have been worth $25,000 in total. Was the Lost Custer Treasure just Currency? Or did it include Gold & Silver Coins? So, we’ve established the lost Custer treasure existed. And we’ve also established that it’s value in 1876 dollars could’ve been around $25,000. But what form of currency did it take? Was it paper currency? Or were there gold and/or silver coins as well? Well, that’s all for now. I hope this clears up some of the many questions regarding this interesting treasure-based side note to one of history’s most infamous battles. Unfortunately, as is often the case when dealing with treasure stories, the details are murky and open to many questions. This is especially true since various primary sources crafted their reports decades after the Battle of the Little Bighorn had ended. Regardless, it seems likely the Seventh Cavalry carried a fairly substantial amount of pay into battle on June 25, 1876. Although the exact amount is in question, it very well may have matched Ryan’s estimate of $25,000. And that pay was probably in numerous forms, including gold, silver, and currency. The bigger question is what happened to the hoard after the battle. And that brings us to the mysterious envelope which W.P. Moncure had once stored inside the Two Moon vault (pictured above). 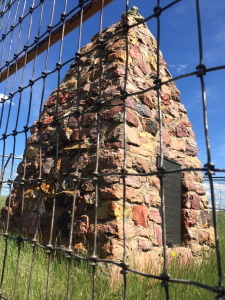 In her article, Wright reported seeing a couple of sentences typed on the envelope about its contents, including this one: “Hiding place and location of money and trinkets taken from dead soldiers on Custer battlefield.” Assuming the envelope still exists, it may be the only known reference to the final whereabouts of the lost Custer treasure. 11/24/11: How Wild was the Wild West? 1/9/12: The Largest Mass Execution in American History? 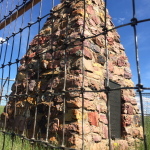 5/26/12: The Lost Treasure of General Custer? 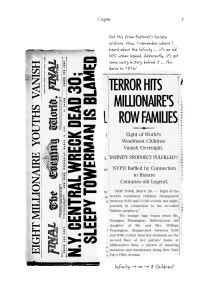 7/12/12: What is the Dead Man’s Hand? 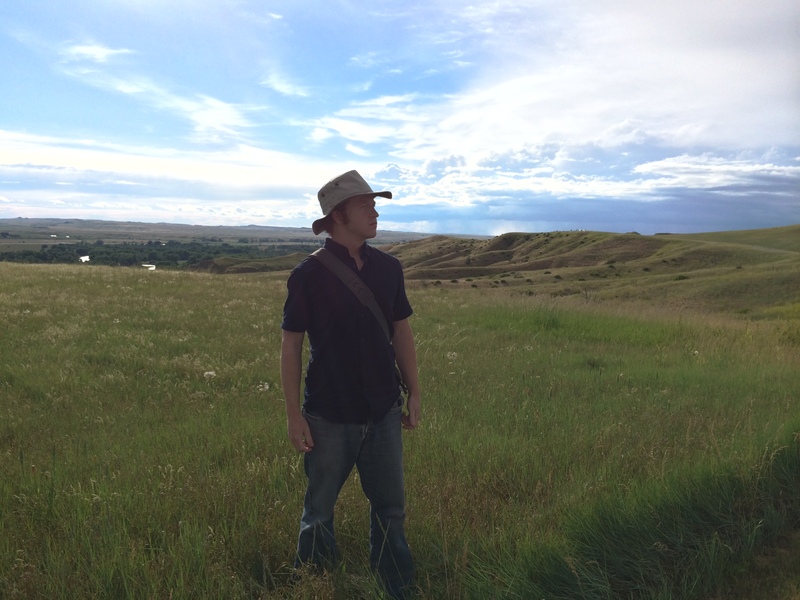 12/9/14: Does the Lost Custer Treasure Really Exist? 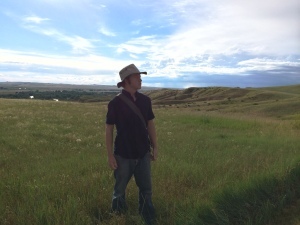 David Meyer teams up with the #1 hit show America Unearthed for Custer’s Blood Treasure. 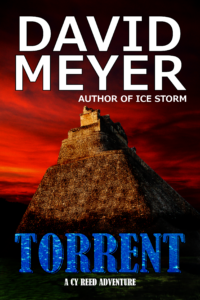 On Saturday, December 6, 2014 at 9pm EST, bestselling action/adventure author David Meyer will team up with world-renowned forensic geologist Scott Wolter in the world premiere of Custer’s Blood Treasure, the latest episode of H2’s #1 hit original series, America Unearthed. David Meyer is an adventurer and creator of the Cy Reed Adventure series. In Custer’s Blood Treasure, he helps Wolter unravel the mystery behind a legendary treasure dating back to one of America’s most infamous events, Custer’s Last Stand at the Battle of the Little Bighorn. 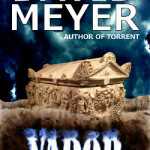 David Meyer is the international bestselling author of the Cy Reed Adventure series. Praised for relentless pacing and thrilling, twisty plots, his books—Chaos, Ice Storm, and Torrent—have taken readers on unforgettable journeys into ancient ruins, secret bases, and lost worlds. I’m trying something new with this latest book, namely “pantsing it.” In other words, I tossed my outline into the digital trashcan (or more accurately, skipping the outline process all together) and proceeded to let it rip (err … not my pants). 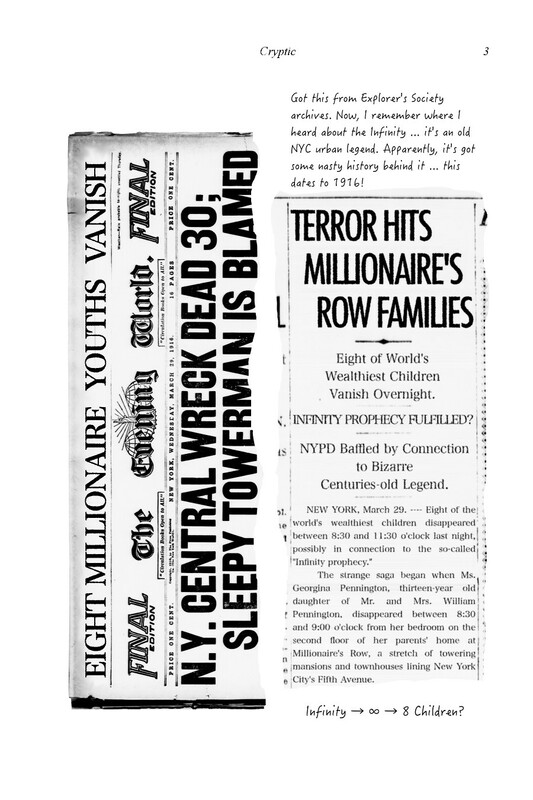 The resulting book, Collapse (Cy Reed #5), is looking good so far. On the bright side, I’m writing fast and with good scene-to-scene creativity. Collapse begins with a bang and doesn’t rest for the over 80 pages I’ve written. Mysteries deepen. Surprises abound. Danger piles upon danger. Hell, this might just be the best set of action-oriented scenes I’ve ever written. Even better, it hasn’t really felt like work. I could get used to this type of writing. Two drawbacks, though. First, I’m writing loose. Side characters have gotten lost in the mix. Plot lines have been dropped. I’m not too worried … this happens to me when I’m writing with an outline as well. The second drawback should be obvious … I have no clue where I’m going next. I conceived of Collapse in a single afternoon as a four-part story. To start, I put Cy into a crazy situation and then raised the stakes repeatedly. Now, I’m nearing the end of Part I and I’m starting to get nervous. I have a setting for Part II and a basic idea about what happens in it. But it’s vague. And I have no clue what will happen in III and IV. So, the jury is still out on pansting it. But the early results are promising. If I’m able to connect disparate story lines, deepen the characters, and enhance the themes over multiple drafts, pantsing could be a winner. Collapse, you say? Whatever happened to Ruins? For those of you who don’t know, I started a new book right after getting back from Turkey. Tentatively titled, Ruins, it was to be my first attempt at a pantsing novel. Unfortunately, I gave into planning early on in Ruins and started trying to outline it. Since that defeated the whole purpose of the book, I immediately shelved it and came up with the idea for Collapse. I still plan on writing about Turkey, but it won’t be for a little while yet. Miasma (Cy Reed #4) remains on the shelf. I hope to finish the first draft for Collapse in late October. After a little break, I’ll begin work on the Miasma edits. Miasma is my most complicated book yet and it’s also a bit of a mess, so it could take some time. I’m tentatively setting aside four months for edits, cover building, and formatting. If all goes well, you’ll be able to get your hands on it in mid-March 2015. Future stories, especially if this pantsing strategy works out, will hopefully be finished much quicker and with far less aggravation. My Big Announcement … I am a Writer! It’s time to make an announcement I honestly never thought I’d be able to make. No, it’s not the long-awaited film deal. But in many ways, it’s much bigger than that. So, here it goes. I’m pleased to announce my official retirement from the financial industry. Today, I formally conclude my old career and begin my new one … as a full-time writer. This has been a long time coming, far longer than many people probably realize. My journey from Wall Street to adventurer / full-time writer has been a crazy one and perhaps I’ll devote a few posts to it someday. But for now, I’d like to thank the people who supported me along the way, namely my wife Julie, my family, and especially all of you, my readers. I wouldn’t be here without you. Unlike most traditional writers, I’m basically a one-man operation (with a little editing help from the wife-thanks Julie!). I don’t hire researchers to generate ideas. I don’t employ substantive editors to shape and mold my novels to meet market demands. I don’t utilize copy editors to correct my grammar and spelling. I don’t hire cover artists or formatters to create attractive packaging. And most importantly, I don’t have a team of salespeople and publicists pushing me and my books into bookstores, libraries, and onto the general public. But while I lack the vast resources available to other authors, I’ve managed to sell tens of thousands of books across the globe over the last few years. That level of success has allowed me to make a career change that would’ve seemed unthinkable just a short while ago. So, once again, thank you. Thank you for buying my books. Thank you for rating and reviewing them. And thank you for spreading the word. Without all of you, I wouldn’t be making this transition—and achieving a lifelong dream—today. I’m a writer. And I’m damn proud of that.